Journey Sales Smart Rooms provides a portal through which sales reps can upload and share both internal and external content with clients and prospects. By providing a personalized space for buyers to access informative and engaging content, Smart Rooms helps guide users through the buyer's journey. The software analyzes buyer behavior to help you understand at what stage prospects are in the buying journey. You can then use this data to refine your sales strategy and decide to share further content. Smart Rooms by Journey Sales is built natively on the SalesForce1 Platform for 100% integration with all Salesforce activities, including Chatter. The app can be accessed inside Salesforce, and customers can access the platform from the Salesforce1 Community Cloud. By combining data from Salesforce and Smart Rooms, Journey Sales gives you dashboard views of your entire pipeline and allows you to update account information. The software uses customer analytics data such as engagement indices and digital body language analysis to predict behavior and identify needs to be addresses, avoiding roadblocks and capturing opportunities. There are currently no reviews of Smart Rooms. Measure Customer Engagement: Understand the digital body language of your clients and prospects and use this data to further customize your sales strategy and activities. Personalized Smart Rooms: Upload personalized, informative and engaging internal and external content to help buyers in the buying journey. Add new content and insight based on real-time interest metrics. Buyer Behavior Analysis: See who is in the Smart Room, what content is viewed the most and where the user is in the buying journey. Refine Sale Strategies: Prioritize deals and identify at-rick accounts and whitespace opportunities through beahviour analysis and predictions. 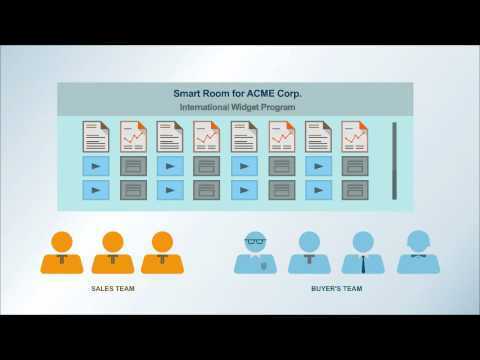 Smart Rooms by Journey Sales is built natively on the Salesforce1 Platform so that reps can connect to smart rooms directly from Salesforce. Cutomers can also connect to Smart Rooms via Salesforce1 Community Cloud. Dashboards within Salesforce: See dashboard views of all opportunities across products, accounts, reps, and more; update close dates, stages and amounts. Below are some frequently asked questions for Smart Rooms. Q. What type of pricing plans does Smart Rooms offer? Q. Who are the typical users of Smart Rooms? Q. What languages does Smart Rooms support? Q. Does Smart Rooms support mobile devices? Q. Does Smart Rooms offer an API? No, Smart Rooms does not have an API available. Q. What other apps does Smart Rooms integrate with? Q. What level of support does Smart Rooms offer? Q. Which apps is Smart Rooms compared to most often?